Trump Home. 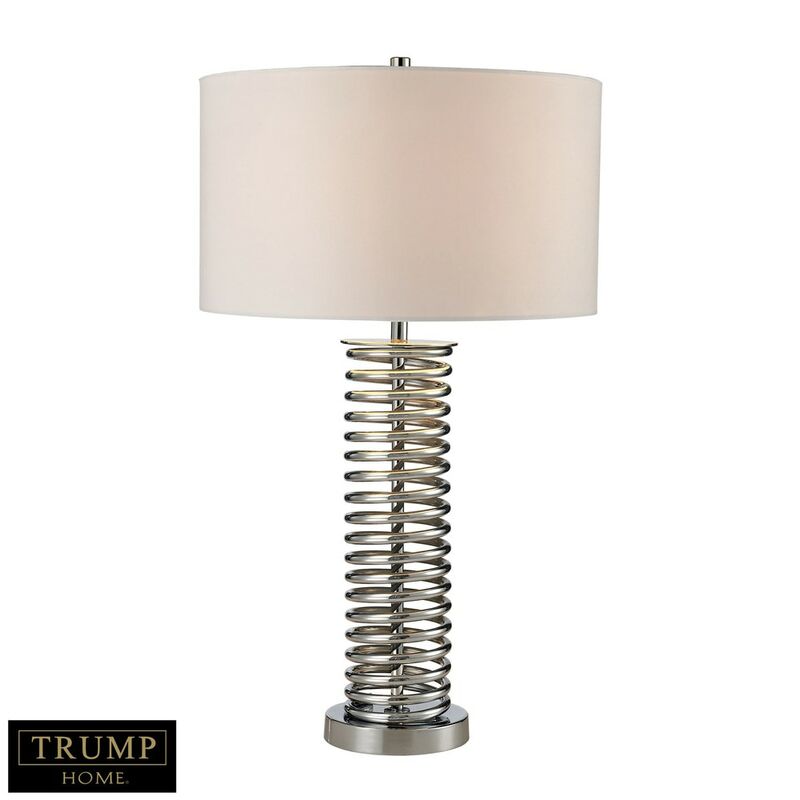 Industrial In Form The Coiled Table Lamp Is Made Chic And Modern By Its Chrome Finish. The Hardback Shade Is White Faux Silk With A Matching White Fabric Liner.